Royal ferns in the garden add interesting texture and color to shaded areas. Royal fern care is simple when growing the plant in the right location. 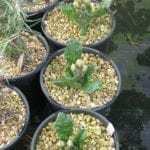 Read this article to learn how to grow royal ferns.